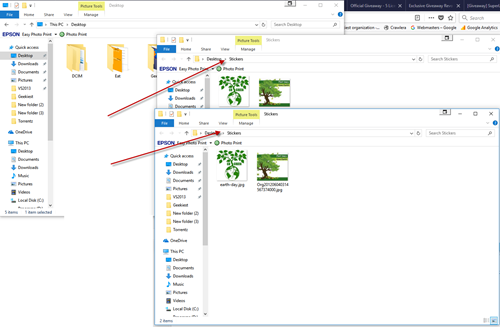 How to fix File Explorer opens desktop windows twice in new window? 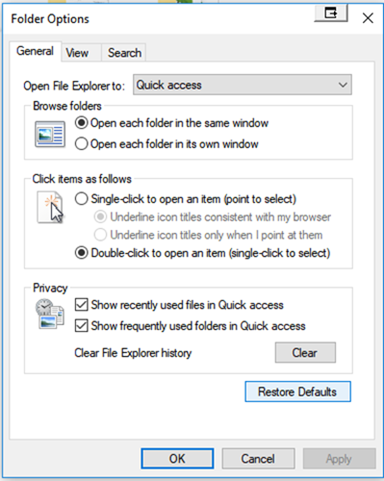 I had a strange issue with my Windows computer, when I open a desktop folder by double clicking it opens normally, but if I open the desktop in explorer and double click on a folder it opens the folder in a new window. Sometimes it opens twice. All other folders are opening fine. Next check was System File Checker (sfc) that also gave the result, saying there are no integrity issues. Earlier I have read that there are similar issues reported which was due to Photoshop, I didn’t wanted to uninstall the Photoshop actually, but had to do so to solve this issue, which was irritating. So first I downloaded “Adobe Creative Cloud Cleaner Tool” and removed all the adobe products. Get the application link and instructions from this page step 6. Used CCleaner to remove all unwanted registry entries and file associations related to Photoshop and other adobe products. Also removed all the folders using the application named “Everything” by voidtools (you may get it from here). Just rebooted, and yes, the issue is fixed. Remember to use the Adobe Creative Cloud Cleaner Tool and “Everything” you need to have administrative power.